Yes, I'm still coughing. Days later. It hasn't changed any in days -- my right ear is half stuffy (but not all the way, and it pops frequently enough) and I'm coughing. Oh well, I feel mostly well enough to be doing things, so I've started resuming my life. Today I made it to the local Games Workshop for the first time in a week and a half. I walked in and Dan, one of the two employees, walked up to me and (jokingly) said "Hi, I'm Dan, I don't believe you've ever been in our store before..." It was great. 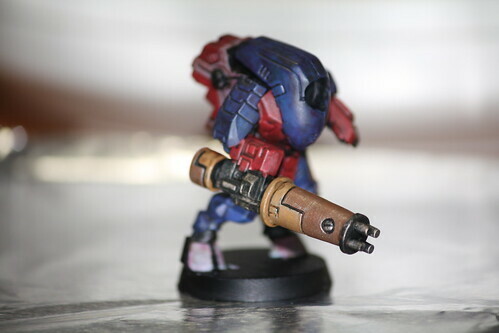 I worked on my Tau some more, and then played a short game against Ryan (one of the regulars). He was playing Space Wolves and he took me down pretty well. I would have done better had I not charged his squad with my Kroot. Turns out his higher initiative put the hurt on, and my entire squad died. Oh well. The Fire Warriors followed the next round when he charged them. In other news, did a bunch of Dreamwidth work last night. Did more today, wrote a patch (myself, I coded! ), email (answering questions for a potential article), hanging out on IRC, etc. Light day. Tomorrow is Thanksgiving and thus begins the holiday season. I still don't like the holidays, so if I seem a little grumpier than usual (or a lot more so), that's why. Going to be flying out to North Dakota for Christmas, which should be fun. New Year's back here in California, probably celebrating a new nephew or niece (if the kid has the decency to be on time). Don't ask me about NaNoWriMo. Hamthrax. Surprise visits from people. Thanksgiving. That's about my life in a nutshell. That links to the gallery which contains two more pictures from different angles. There are definitely things I'm not happy about, some areas I didn't stay 'in the lines', his feet look like hooves, and I'm not sure if I'm sold on the color scheme I made up. But overall I'm pretty happy with them, especially as they're the first things I've painted.